Christofer Lund Andersen Mixing Down The Best of the Pioneer Vol. 1 – Coast Recorders, SF. So, here we are, mixing down the Best of the Pioneer Blues Jam record at Coast Recorders in SF. (Kid and I) were both baffled and curious about learning the Patch Bay in the studio. Our approach was a hybrid mix session utilizing both digital technology Plug-Ins and hardware (analog) devices to shape the sound. We chose to give this recording a warmth and analog vibe yet utilize modern recording techniques and tools to satisfy our bent. 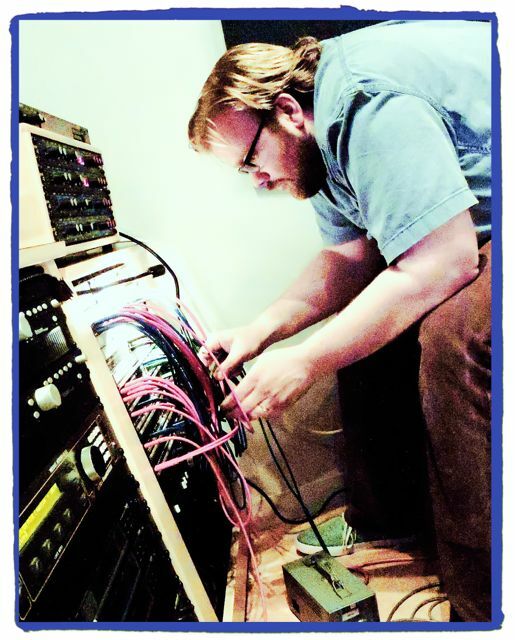 “Kid Andersen” is a marvelous and extremely knowledgeable mix engineer. Very precise and exacting in his choices and quite creative and fun to work with. Photo by Tina Abbaszadeh.